Rachel Guth is a member of the cast of "Fiddler on the Roof," produced by Curtain Call at The Kweskin Theatre in Stamford. Guth, with Lou Ursone, who plays Tevye, performed together before at the Summer Theatre of New Canaan. 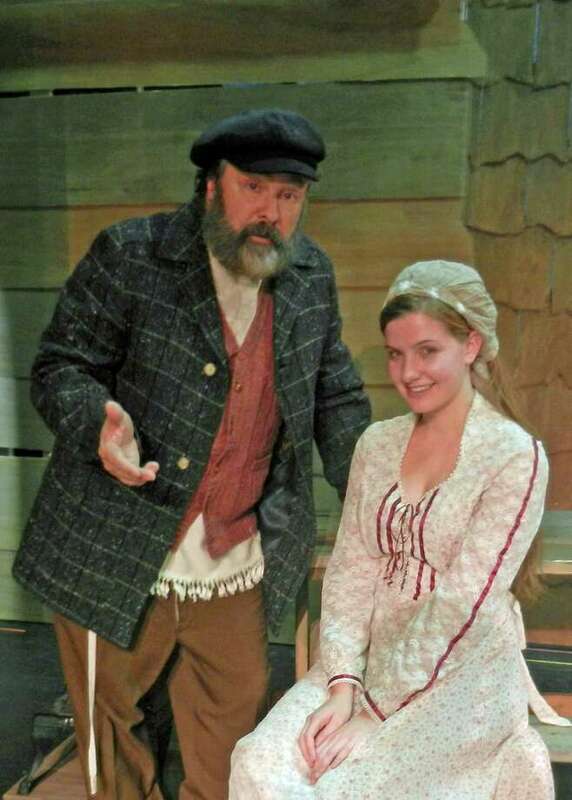 Rachel Guth, of New Canaan, is a member of the cast of Curtain Call's production of "Fiddler on the Roof," which will be staged at the Kweskin Theatre in Stamford beginning Friday, Nov. 15. The show will run weekends through Dec. 14, with performances at 7:30 p.m. Saturday; Sunday matinees are at 2 p.m.
"Fiddler on the Roof," based on the short stories of Sholem Aleichem, is set in the little village of Anatevka, where Tevye, a poor dairyman, tries to instill in his five daughters the traditions of his tight-knit Jewish community in the face of changing social mores and the growing anti-Semitism of czarist Russia. Joseph Stein wrote the stage play and the screenplay. The Tony Award-winning musical features a score by Jerry Bock and Sheldon Harnick. Playing the leading role of Tevye is Stamford resident Lou Ursone, who has appeared with the Summer Theatre of New Canaan. "For more than 100 performances in the Mulberry Street series of plays," Ursone said, "I have played the patriarch of an Italian immigrant family with children questioning their heritage and traditions. I have often referred to that character as an Italian Tevye, so I am thrilled to play this role for the first time." Ticket are $29 for adults, $22 for senior citizens and $14.50 for students/children. For tickets or information, call 203-461-6358 or visit www.curtaincallinc.com.